HEPL2 model High Efficiency Pressure is a double wall stainless steel chimney with 2" mineral fiber insulation. 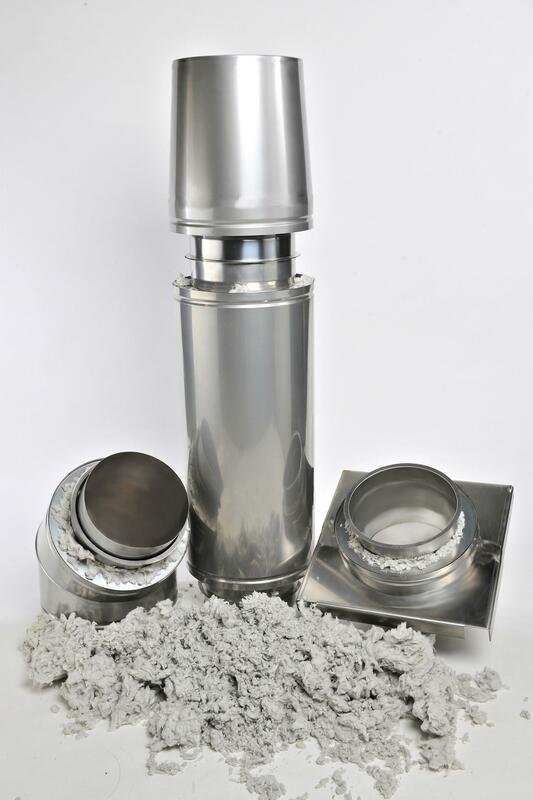 This chimney is UL listed for positive pressure applications up to 15" water column. CHEMINEE LINING.E inc. venting system model HEPL2 is listed by Underwriters Laboratories inc. (UL) under file MH10081 and tested in accordance with UL 1738 and ULC S-636 for Venting Categories II, III and IV appliances.